Let's be honest. We have all chosen a sport that has more complexities than your mother-in-law at family holidays. It takes years to master all of the information needed for hunting — and I don't say master lightly. To the novice hunter, all of the information required to ethically, legally, and successfully kill an animal must seem daunting. Think about it: rifle calibers, shot placement, pellet size, proper licenses, drawing procedures, tag allocations, plat maps&apos;¦and that's before studying the animals themselves! All of that information is hard to learn but even harder to find without seeking out multiple sources. That's where the Complete Guide to Hunting, Butchering, and Cooking Wild Game by Steven Rinella comes in. 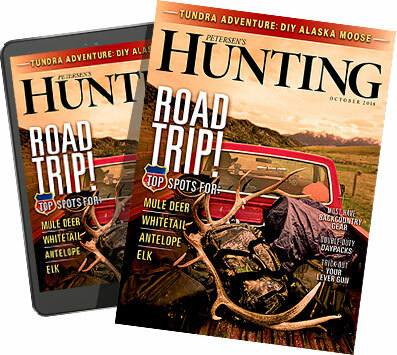 Compiled into a two-volume guide — Big Game and Small Game and Fowl — Rinella breaks down all the information you need to know before heading afield. Better yet, he does it in a casual, laid-back voice that makes reading the Guide easy and enjoyable. in laymen's terms what MOA represents. He even highlights confusing or unknown terminology, including a sidebar entitled "What the Hell is Parallax?" The books detail North American big game and birds, their habitats, where to find them, and common hunting strategies. Step-by-step directions with pictures give readers a visual on butchering and skinning techniques that novice hunters will appreciate. All in all, more than 700 pages break down the basics of what a newbie would need to know about hunting. Because the book is targeted towards beginning hunters, many of you seasoned sportsmen may react by turning up your nose. But don't. I found the Guides resources useful to turn to when needing a little reminder. Just a few weeks ago a buddy and I engaged in a friendly argument over choke terms and order. Does improved modified have a tighter pattern than modified? I picked up Rinella's Volume 2 for a quick answer. Rinella points out early on that the books are filled with contradictory opinions. The Guides, as he puts it, are a giant archive of opinions and strategies from experienced sportsmen. As they should be! We're hunters&apos;¦we're full of our own opinions and tactics for bagging a rutting bull or buck. But one thing is for sure: We like to share our knowledge and try new methods. Rinella is sharing both in his comprehensive and easy-to-understand two-volume Guide to Hunting, Butchering, and Cooking Wild Game. In case you were still thinking, improved modified is tighter than modified. The Complete Guide to Hunting, Butchering, and Cooking Wild Game: Volume 1 & 2 by Steven Rinella retails for $25 per volume. These and select Steven Rinella titles are available at Penguin Random House and themeateater.com.